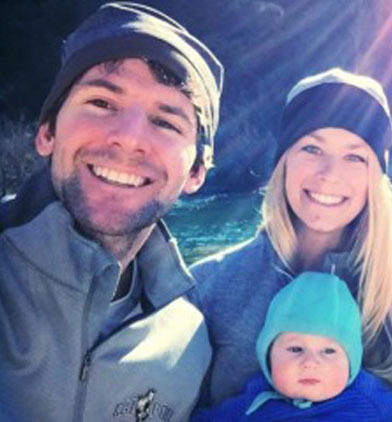 Fit Culture Studio is on a mission to create a culture of fitness, wellness, and happiness in Nevada County and beyond. With all the different approaches and strategies out there, it can be overwhelming and confusing. Let us help you make sense of it all. Working with us is like having your own Personal Trainer and Wellness Coach. We will teach you the best eating, exercise, and lifestyle strategies unique and personal to your life! Kristen is passionate about living an active and healthy lifestle and desires to help others do the same. Whether advanced or just starting out, young or old, she believes people are often capable of much more than. Soozie Yearwood is a certified AFAA (Aerobics and Fitness Association of America) Group Fitness Instructor, and has been teaching adult and children’s fitness classes since 2012. Having moved to Nevada County in 2015. As the founder of Fit Culture Studio, Joey takes pride in motivating his clients by encouraging them to achieve their personal goals and do their best. 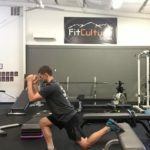 Joey’s passion for functional movement, athletic performance. We offer different services that suit all fitness levels and goals. H.I.I.T. stands for high-intensity interval training, and is a training technique in which you give all-out, one hundred percent effort through quick, intense bursts of exercise, followed by short, sometimes active, recovery periods. This type of training gets and keeps your heart rate up and burns more fat in less time. The Fit Culture mission is to deliver integrated fitness and wellness programs. To help Nevada City, Grass Valley, Penn Valley, Lake Wildwood, Alta Sierra, Nevada County and the world stay healthy, active, and energetic. We strive to provide a hub for friendly people, fresh ideas, and challenging workouts for all levels and abilities. Our approach is simple, we succeed because our members succeed. First, let me share with you what will not work. A strategy that puts all of your eggs in one basket. For example, focusing solely on exercise and spending all of your time working out to achieve your goals. Taking a balanced approach! In addition to exercise and other lifestyle habits, we believe proper nutrition is key to optimal wellness, performance and body composition. What do we offer for Nutrition? For nutrition, we encourage people to plan and prepare their meals (sometimes in advance), drink a lot of water, reduce processed food, cut fast food and eat more colorful meals with whole food ingredients. Learn More About Our Next Program! Our dedicated team loves helping people get results. It’s that simple. If you are ready for change, if you are ready to work, if you are ready to clean up your eating and make time for your fitness, you’re ready for our help.